Pace Car Rental offers affordable 10 Seater Toyota Quantum rental options for your travelling needs. Why rent a Toyota Quantum from Pace Car Rental? 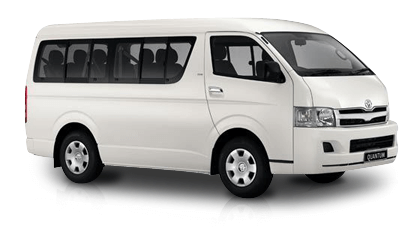 Are you looking for a 10 seater Toyota Quantum rental? Pace Car Rental has a proven track record in the van rental industry in Johannesburg. We go the extra mile to ensure that our clients are provided with the best quality 10 seater Toyota Quantum rental options. These vehicles are perfect for those who intend to travel in large groups as it can accommodate several people (and their luggage). – Provides better comfort to people travelling in a group. – Enough storage space for luggage and plenty of leg room for passengers; we have 8 and 10 seater rentals available. – A Kombi can accommodate a bigger group of people when compared to private cars and small vehicles for rent. – It’s more affordable than other forms of transport, where the van rental cost is shared among co-travellers. – We allow minibus rentals to Zimbabwe from Johannesburg at cheap rates. If you are looking for great service from a reputable car rental company in Joburg, and if you want a minibus to hire, Pace Car Rental is the ideal solution for you. Alternatively, call (+27) 11 262 5500 for more information about our short and long term minibus rental options.